Elgg Multisite is a tool that lets you run and manage multiple independent Elgg powered social networks off of a single installation of the code base. You can easily add, enable and disable sites, and even configure which plugins are available to each network independently. Elgg Multisite has been around for a little while now, and I’ve been meaning to do an update for a while now. So, I am very pleased to announce that I’ve just pushed out Elgg Multisite 2! From scratch rewrite of the management console – now much simpler to use, and looks nicer to boot. Vagrant support – get building quickly! Elgg multisite is aimed at anyone who has the need to run and manage multiple separate instances of Elgg. As a result, Elgg Multisite is of particular interest to hosting companies or large corporates who want to run a separate network for each department or division. You can file tickets over at the project page on github, but feel free to drop me a line if you have any questions (I also offer consultancy and development services on this, and many other things)! Recently, I moved the Elgg Multisite project over to Github. The master of this branch is targeted at the 1.8 branch of Elgg, however, a number of you have requested that the 1.7.x branch be maintained to support the continuation of the 1.7 branch of Elgg. So, as requested I’ve created a 1.7 branch of Elgg Multisite from the original archive so that the 1.7 and 1.8 branches can be maintained in parallel. I’ve also cherry picked a few minor mods from the 1.8 branch over as well. In my earlier post I explained how to set up Elgg Multisite fresh, but as some of you have been asking, what if you already have an Elgg install and want to convert it to Elgg Multisite? Well, providing your modifications have been mostly limited to plugins, this should be fairly straightforward. Unfortunately I don’t have time to answer all of you individually, but hopefully this post will help! Your first step should be to back up your existing Elgg install and back up the database, just in case anything goes wrong. 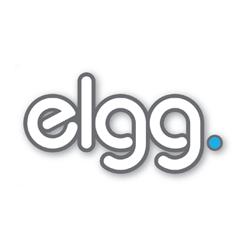 If your current Elgg install is where you want to install your Elgg Multisite install (e.g. in /var/www) you will want to move it out of the way before continuing. Once you’ve backed up and prepared your installation directory, set up Elgg Multisite as documented in my previous article. Migrating your domain to point at your new Elgg multisite domain is a two step process, and you’ll need an extra sub domain depending on your configuration. Basically, you’ll need one domain to act as an admin domain (e.g. pointing at /var/www), and then the domain your migrating should be pointed at the Elgg multisite docroot (e.g. in /var/www/docroot). Next, you need to visit your admin domain and add the Elgg multisite domain details in the configuration – the domain name your migrating, plus the database details of the existing Elgg database you’re importing. On the current version of Elgg Multisite you’ll get an error at this point complaining that the database could not be created. It already exists, so this error can be ignored. You should now have a functional vanilla Elgg install visible when you visit your migrated domain. If you have any custom plugins which are not part of the standard Elgg install (including themes), these should be copied over at this point. You must activate them for the domain through the Elgg Multisite admin interface in order for them to be visible in Elgg’s plugin administration page.